Night of Lights is a community‐wide, family friendly event to celebrate our amazing Blue Valley Schools. On April 26 from 6‐9 PM, our community will come together to enjoy food trucks, games, live musical performances, high school art exhibit, and MORE! Interested in volunteering? We need lots of middle and high school and adult volunteers! Click here to sign-up! KINDNESS BEGINS IN THE HALLWAYS. We celebrate the positive character that students learn through Blue Valley Schools. Through funding educational initiatives and acknowledging character-driven, student leaders, we foster a community of compassion, courage, honesty, respect, responsibility, perseverance and self-discipline. 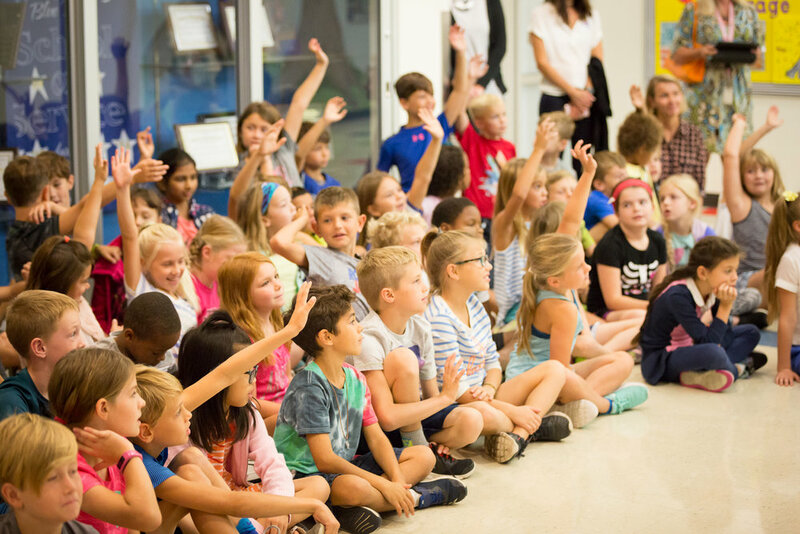 By ensuring that our students have all the resources they need to succeed, the Blue Valley Educational Foundation is the catalyst for our students transforming into the leaders of tomorrow. 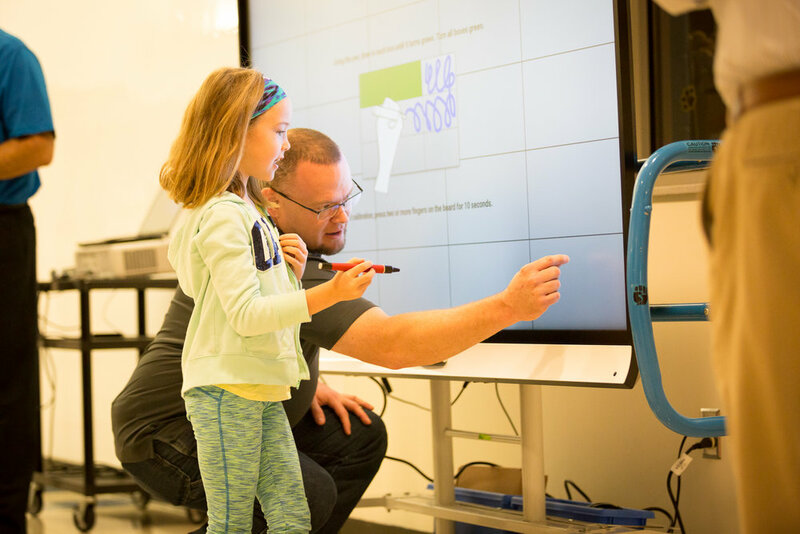 Through grants like these we are able to empower teachers to help each student maximize their own learning and feel prepared to succeed in the future global landscape. Future-ready students know how to collaborate, create, communicate, and think critically. Through a grant from the BVEF, students at Stanley Elementary School are able to create and use STEM kits to further their understanding of science standards and social studies concepts. These Exploration Tubs set the stage for future-ready skills, but also allow for personalized learning because the kids choose the tub and set the plan for their own discovery. Leveraging outdoor learning opportunities, students in Blue Valley's GEAR program ride and interact with horses to improve their physical, cognitive and emotional well-being. The program fosters an environment where students are motivated to reach new levels of courage and confidence. For our students with special needs, this BVEF funded program supports their progress toward a variety of therapeutic, educational and behavioral goals. Through a BVEF grant, Blue Valley West high school students are learning to becoming tomorrow's problem solvers with the use of VEX Robotics. The VEX EDR system harnesses the excitement of building robots to immerse learners in Science, Technology, Engineering and Math (STEM).The VEX EDR system allows students to be creative not only with building, but also designing and programming the robot to perform tasks. With increased collaboration and cross curricular opportunities this project prepares students to compete in the future global landscape. Leawood Middle School fosters collaboration and the integration of skills across art, math, and sewing through this innovative project funded by BVEF. Facilitated by educators in Family and Consumer Science, guided study, and art, students deepen their understanding of color theory and sewing techniques. Based on the Choice Based Art Curriculum that integrates a modern approach to quit making, all students collaborate to create a contemporary quilt reflecting their understanding of geometry, color, and scale and proportion. Students apply their Science skills to investigate the effects of colors and present the results of their color interactions on the viewer’s eyes as evidence of acquiring new learning. PRIDE BEGINS IN THE COMMUNITY. Our community's greatest resources are the generous community members. 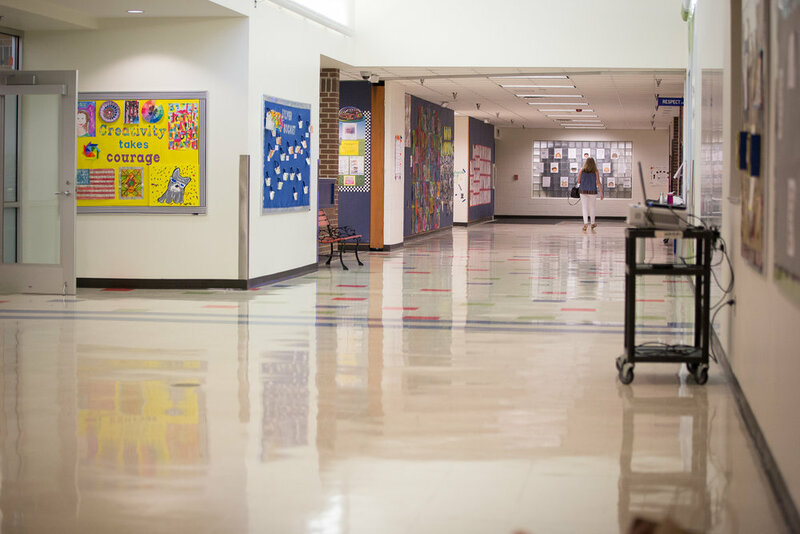 With support from families in Blue Valley as well as corporate partners, BVEF is able to make our school district a national leader in education to train the next-generation of community leaders.